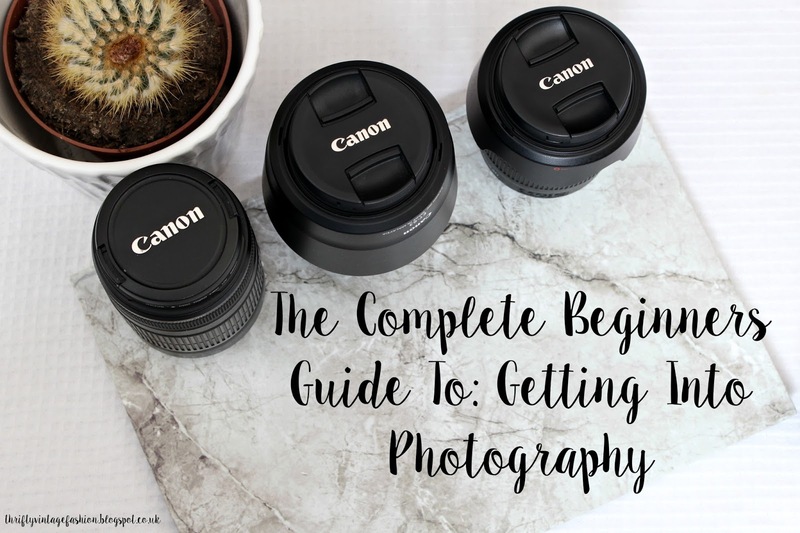 Okay, so if you want to get into photography you are going to need a camera- DUH! Well done, Nicole understatement of the year. Of course, you can use your phone, these days they have pretty good cameras, but if you clicked on this post I am presuming you want to get into photography, using an actual camera. There is so much to choose from these days; I know it can be pretty overwhelming if you have never walked into a camera shop before. If you want to start taking photography seriously but don't want to fork out on the most expensive camera, bridge cameras would be a good place to start. Alternatively, if you just want to have a go at photography every now and again and want something you can put in your bag easily point and shoots will be perfect for you. They are lightweight and compact which makes them very portable. When buying any camera, you need to be paying attention to the megapixels and optical zoom- the higher the number, the better. Believe it or not, when using a DSLR it's not the actual body of the camera that is important, it's the lens you have on the end that makes all the difference. Lenses are so important and definitely something you should be investing in if you want to get into photography. But I know, like when going to buy your camera, the world of lenses can seem very daunting. However, once you have a basic understanding of what lenses, there are you will find it a lot easier to find the lens you need. As well as being all the different mm of lenses, lenses fall into two categories; zoom and prime. Zoom lenses come in a range of different focal lengths, and you can change the focal length by twisting the end of the barrel. This means you can take a photo of things far away and don't have to change your lens. Unlike a prime lens which has a fixed focal length (e.g. 50mm) you can't twist the barrel on this lens, so you have to either move yourself or the object closer or further away, however, this might not always be possible, without you falling off a cliff. As well as lenses, there is other bit's of kit you should invest in if you want to get into photography (yes this can get quite expensive) Firstly, filters! You need a UV filter for every lens you own. These are just plain pieces of glass that protect your lens from scraps and scratches. It's a lot cheaper to replace a £10 UV filter than it is a £300 lens. I also highly recommend a polarising filter, an ND filter, and a grey grad filter. These filters all allow you to create special effects with your photos in RAW, so you don't have to do it in the editing process. (If you want to see a more in-depth blog post about filters, I can do that for you in the future) Additionally, you will need a good tripod. Tripods are super cheap and definitely worth getting (you could even look at getting a monopod). Remote cable releases, off camera flashes and soft box lighting- are all super handy bits of equipment I would recommend you buying if you are serious about photography. Your also gonna need some spare batteries, SD cards, lens hood and a case. Whatever the hell you want. No, but seriously I know it can be so overwhelming when you get all the gear, but you have no idea what to do with it. My best pieces of advice would be to get outdoors and to get inspired. If you live in the city, go and do some street photography and if you live in the country go and find some flowers or nature to take photos of. The great thing about photography is that you can literally photograph whatever the hell you want. The world's a big place, and there is so much out there to discover. 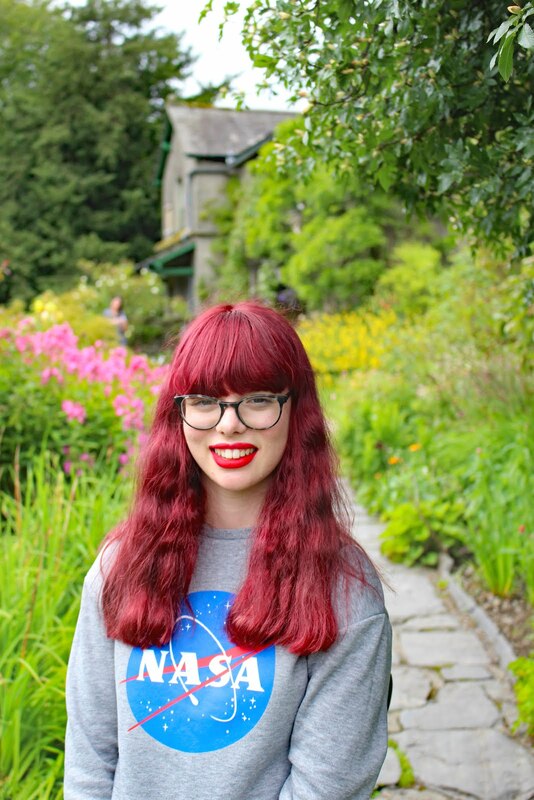 My family are members of the National Trust, so we go out on lots of day trips with plenty of photo opportunity. The world isn't going to come to you, so you have to go to it! Take your camera whether you go, get outside as much as you can and enjoy it! I do know what it's like though to go through a creative block, so make sure you are always staying inspired. Go to your local WHSmiths and buy some photography magazines or set up an account on Flickr, which is an online photo sharing website. There are so many brilliant things that you can photograph in the world, choose something that you are interested in and you feel passionate about and see where it goes from there! Editing is important although where possible, editing should be kept to a minimal. If you over edit your photo, you could loose some of the quality which will make it look less professional. The main idea of editing photos, in most cases. Is to enhance the image, not change it all together. I was going to share with you how I edit my blog photos and photos in general, in-depth but this post is way too long, so if you like to see a separate post on how I edit my blog photos, let me know! One day I would love to own Photoshop, but it's just hella expensive. I know there is a cheaper piece of software you can get called Photoshop Elements, I think, but that doesn't come with a wide range of features like Photoshop does. However, you don't always have to pay for your software. I use the free online version of Picmonkey to edit my photos, and when creating Pinterest graphics for my blog, I use a piece of software called Canva. When editing photos, I crop them to make sure what I want in the frame, is there. I up the brightness, contrast, saturation, clarity and add a watermark to all of my title blog photos and then use a font called 'Sweet Pea' which I downloaded from DaFont to add the wording. I always make sure I rename my photos to help boost my SEO. There are so many things you can do to make your photos interesting and different, but my biggest piece of advice would be to get creative. Where possible use an interesting subject, can you jazz it up a bit? Can you remove or add something to the background? However, sometimes people take photos of the dullest subjects but make them so interesting, how on earth do they do this? This is all done to angle and composition. Why take a photo looking side on at the subject when you take it from above or from the ground looking up at it? Don't be afraid to get on the floor and get a bit dirty. You should also bear in mind; rule of thirds, where your subject is placed on one of the thirds like in the grid above, rule of odds; where you take a picture with an odd number of things in e.g. three, five etc., fill the frame; where your subject fills the whole of the frame and leading lines; where there is something in the photo that leads your eye into the centre. You also need to be aware of what aperture is. Aperture is the hole in your camera where the light comes through. The smaller the F-stop the bigger the hole, the bigger the F stop the smaller the hole. In order to get your background blurred and your subject in focus you need a small F-stop, this controls the depth of field, which is the distance between the subject in the foreground and the background. DSLR's are not cheap, they are an investment. If you want your camera to last, you need to look after it. There are many different ways you can go about looking after your camera. Firstly, by having a UV filter on the end of every lens you own you are protecting your expensive lenses from scratches. They do not enhance your photos in any way but are a must for protecting your kit. Secondly, I would get a cleaning kit. Your cleaning kit should have a brush, cleaning pen, dry and wet wipes and a blower brush. It's good practice to get in the habit of cleaning your camera before and after every use but let's face it, that doesn't always happen. One of my biggest tips for taking care of your camera is to make sure that you do not under any circumstances change lenses outdoors. There are dust and all sorts in the air, which if it gets in your camera sensor will muck it up and you have to pay to have it cleaned by a professional. You should always change lenses in a clean environment and keep the camera facing down so no dust can fall into it. When traveling, make sure your lenses and camera are well protected. If you can invest in a camera rucksack, they are a great way of storing your equipment safely and significantly reducing the risk of damage while on the move. 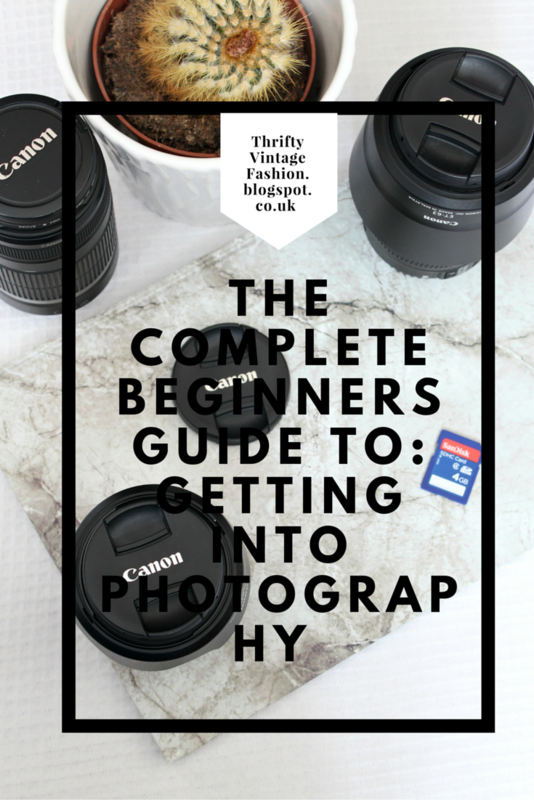 There's so many things to take into consideration when buying, owning and using a camera. I thought I would just round up with a couple of pieces of advice I would give to anyone about to or who has just got a new camera. Where you buy your camera from is important. Luckily, I had a good camera shop in my town and that's where I bought mine from. If you can buying it from an independent shop is better than online, for example, because if something goes wrong you have somewhere you can take it back to and often the people who work in these shops with know a lot about photography and will be able to offer you advice etc. When it comes to actually taking the photos, my biggest piece of advice would be, to not be scared and give up too easily. It can all seem very complicated when you first get a new camera, especially if it's a DSLR. Read the camera manual Google tutorials and have a look on YouTube, there are so many amazing websites out there that are perfect for those just starting out. Don't be disheartened if your photos aren't turning out the way you want. Photography, just like anything takes time and practice. The more time, effort and commitment you put into learning how your camera works, the better you will get at taking professional and creative photos. Photography is an art. There is no right or wrong, so take your time and enjoy yourself! Photography is so much fun! And I think I am going to end this post here. I hope you found this post really useful and detailed. If you have any more questions or ideas for future photography posts you would like to see then please let me know in the comments below! Look out for a photography terminology post in the near future, where I will talking more about what some of those technical photography words mean. I would love to know what camera and kit you use in the comments below or if you have any photography tips of your own! 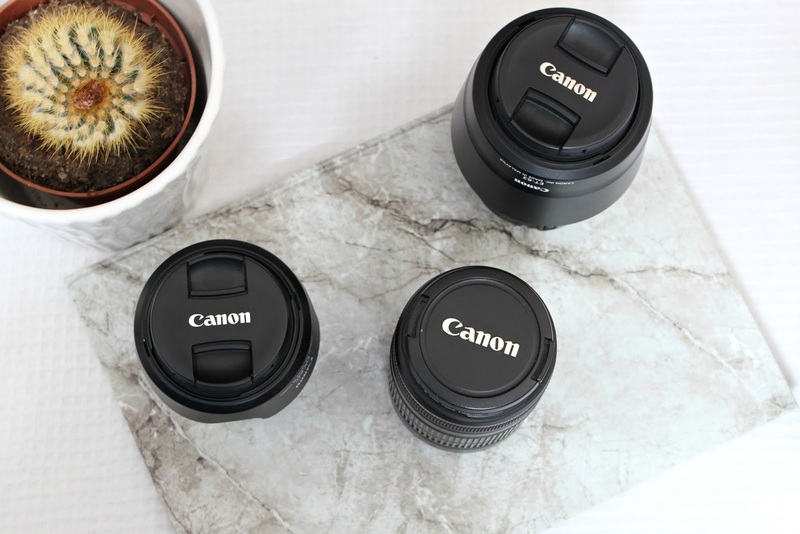 Loved reading this post, I've just got a Canon camera with 2 different lenses today so have found this really helpful! This is such an amazing posy. I have been wanting to get into photography for so long now and always seem to find a reason to not like I don't know how to use my camera or I have nothing to photograph but this has completely inspired me and I'm going to really try and figure out how to use my camera! Lovely post! I love photography and I love finding out other people photography equipment! haha! I know it's so fun!